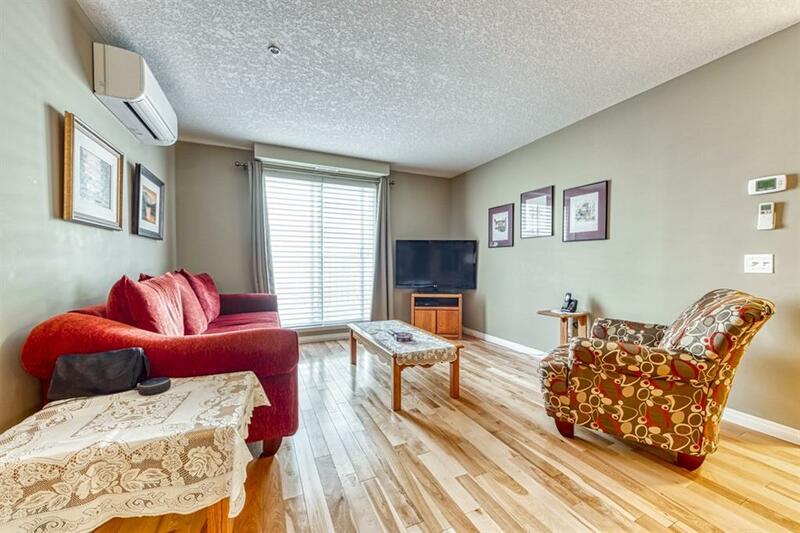 Welcome to this Amazing 2 Bedrms + Den, 2 Bath Condo in Lighthouse Landing featuring 840 Sq.Ft. of Luxury Living Space! This Great Home offers an Open Floor Plan with Plenty of Upgrades: Gleaming Hardwood & Tile Floors, Central Air Conditioning! 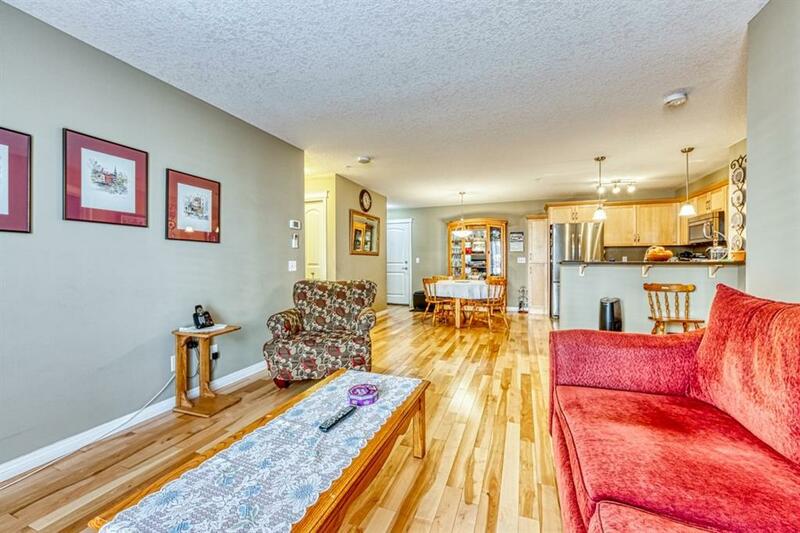 This Condo & Exterior Deck are elevated above Ground Level (feels like 2nd Floor) & backing onto Green Belt w/ Walking Path. Spacious Living Rm w/ Access to Deck (Gas Hook-up Perfect for summer time BBQs), Gourmet Kitchen w/ S.S Appliances, Tile Backsplash, Raised Eating Bar! Master Bedrm includes its own 3 pc Ensuite & Walk-In Closet, Large 2nd Bedrm, Convenient Den w/ Built-ins, 4 pc Bath & In-Suite Laundry! 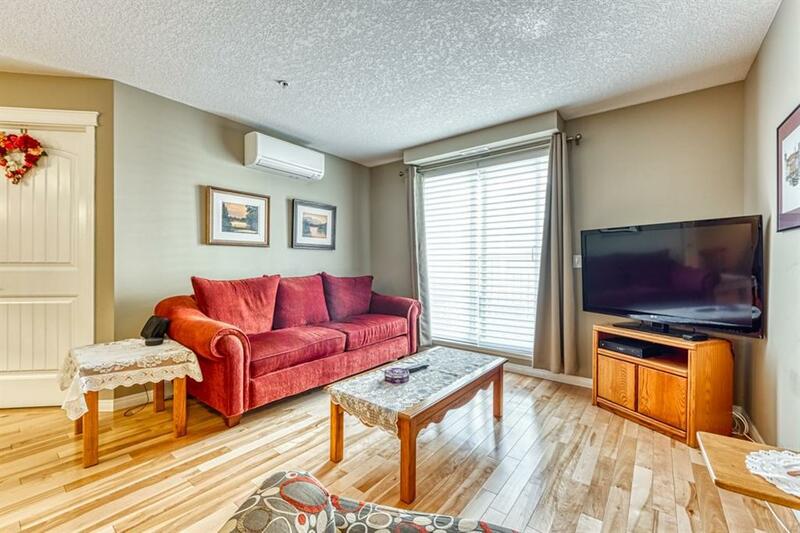 This Condo includes a Secure Entrance to the Building, Underground Parking Stall w/ an Additional Storage Locker & Visitor Parking. Walking Distance to Gorgeous Pond, Schools, Parks & Paths, Shopping, Public Transportation, Vivo Rec Center, Theatre & More! 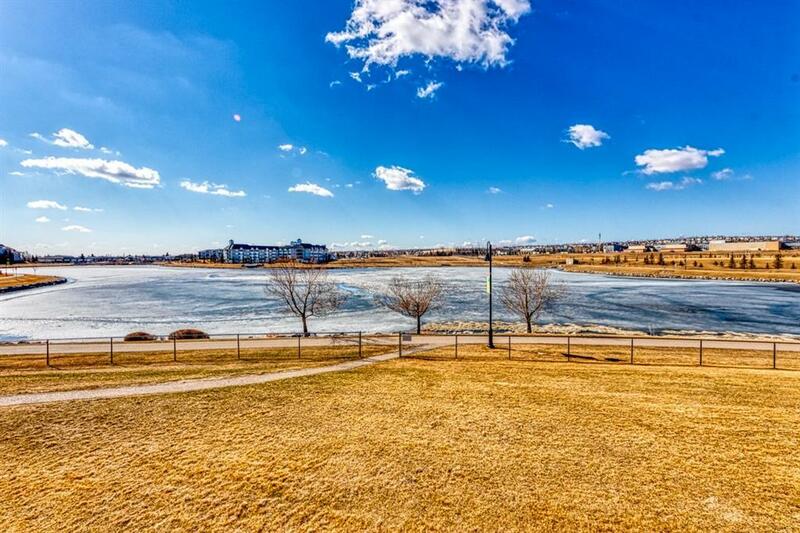 Easy Access to Stoney Trail, Deerfoot Trail & Airport! Dont Miss this Beauty!